Make yourself at home in one of the 28 air-conditioned rooms featuring minibars. Complimentary wireless Internet access keeps you connected, and digital programming is available for your entertainment. Bathrooms have complimentary toiletries and hair dryers. Conveniences include safes and desks, and you can also request cribs/infant beds (complimentary). 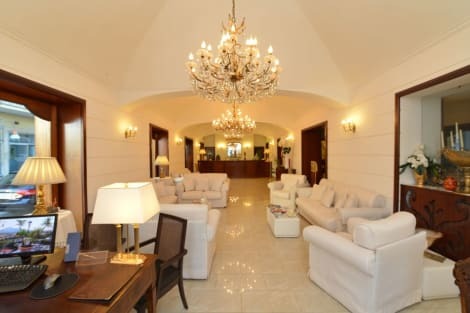 Make yourself at home in one of the 55 air-conditioned rooms featuring minibars and LCD televisions. Complimentary wired and wireless Internet access keeps you connected, and satellite programming provides entertainment. Private bathrooms with showers feature complimentary toiletries and bidets. Conveniences include phones and desks, and housekeeping is provided daily. Enjoy a meal at the restaurant or snacks in the coffee shop/café. The hotel also offers room service (during limited hours). Mingle with other guests at the complimentary reception, held daily. Wrap up your day with a drink at the bar/lounge. A complimentary buffet breakfast is served daily from 7 AM to 10:30 AM. With a stay at Central Rooms Pompei in Pompei, you'll be within a 5-minute walk of Pompeii Archaeological Park and Shrine of the Virgin of the Rosary of Pompei. This guesthouse is 3.9 mi (6.3 km) from Gulf of Naples and 12.3 mi (19.9 km) from Ercolano Ruins. Located in Torre Annunziata, B&B PompeiLog is within a 15-minute walk of Boscoreale National Antiquarium and Pompeii Archaeological Park. This bed & breakfast is 1.2 mi (1.9 km) from Pompeii Forum and 2.4 mi (3.8 km) from Pompei Amphitheatre. Take in the views from a garden and make use of amenities such as complimentary wireless Internet access and babysitting/childcare (surcharge). Guests can catch a ride to nearby destinations on the area shuttle (surcharge). Enjoy a meal at the restaurant, or stay in and take advantage of the property's 24-hour room service. Quench your thirst with your favorite drink at the bar/lounge. A complimentary buffet breakfast is served daily from 7:30 AM to 10:00 AM. 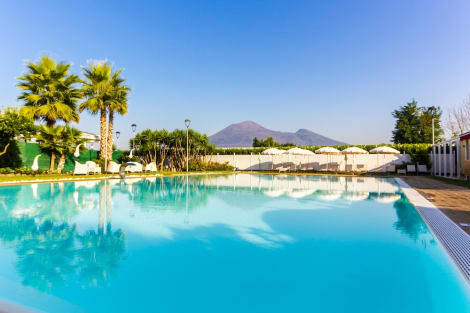 lastminute.com has a fantastic range of hotels in Pompei, with everything from cheap hotels to luxurious five star accommodation available. We like to live up to our last minute name so remember you can book any one of our excellent Pompei hotels up until midnight and stay the same night.